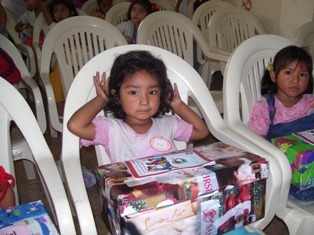 Operation Christmas Child…What happens next? 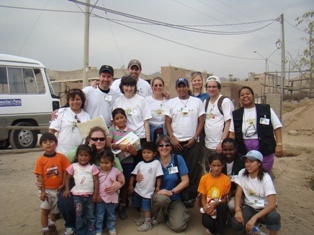 For the December 2008 edition of North Mississippi Christian Family, I did a brief interview with Nelda Brown of Columbus following her trip to Peru to distribute shoeboxes for Operation Christmas Child….What a wonderful opportunity to get a glimpse at the impact of this ministry on the lives of children and families around the world. Thank you for all y’all do to make a difference! Nelda Brown recently felt the “power of a simple gift” tangible way. After her trip to Peru to help distribute shoebox gifts with Operation Christmas Child, Brown has an even bigger passion for bringing God’s love to needy children all over the world. Operation Christmas Child keeps the spirit of Christmas alive all year long, and what a great opportunity to show the love of Christ. 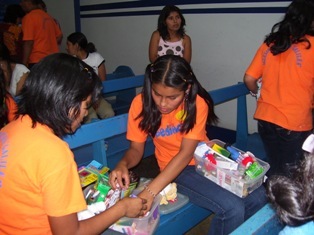 If you donated your shoebox during collection week in November, you played a part in that mission as well. Did you miss it? You can start collecting for next November. We visited with Nelda to share a bit about her trip to Peru to distribute shoeboxes, and to discuss the impact of the project. 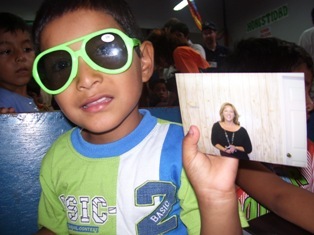 But as with most mission trips, the adventure had more of an impact on her. 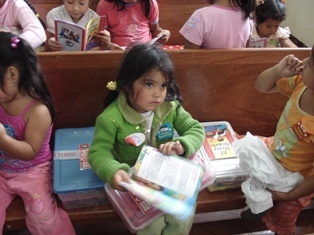 Tell us about your passion for Operation Christmas Child and how you became involved. Ten years ago when my children were little, I was active with them and their activities at the church. Something in my heart was still missing. So I prayed to God, “how could I serve you more?” That is when I was introduced to Operation Christmas Child (OCC) and it was like a light bulb was turned on. 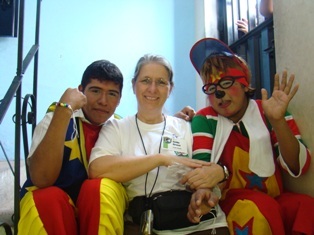 God just gave me a passion to share the gospel with the children of the world. 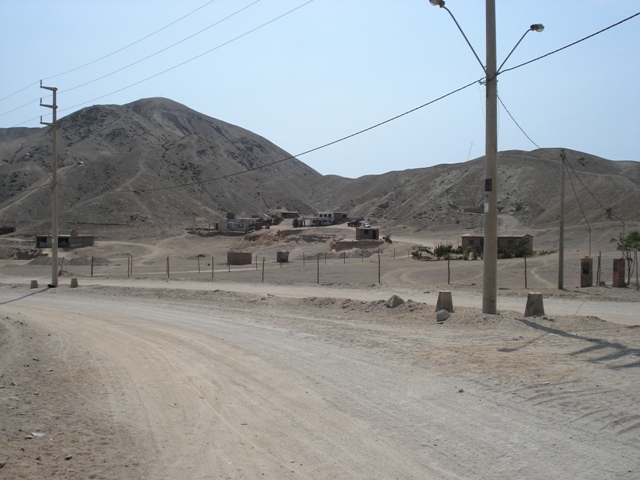 I truly felt like I could be a foreign missionary by doing this project without leaving home. 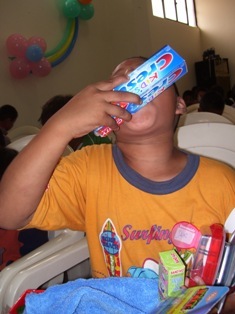 God soon started sending me with other groups at first on the mission field, and then this year I was invited to join and distribute shoeboxes in Peru. 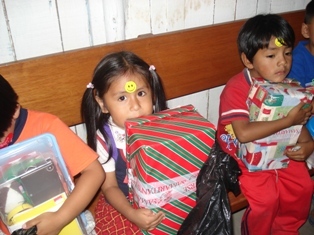 Tell us about your trip to Peru and the impact of Operation Christmas Child. I went in February of 2008. 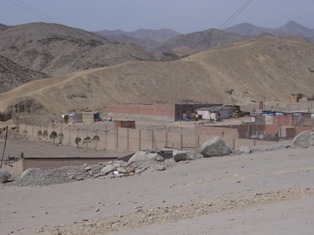 There in Peru, God showed me in reality that these boxes are seeds (Matthew 13). If we sow God’s word through these boxes, God’s word will take root and grow. A seed is life-giving, and can produce more seeds and even bear fruit. I truly believe from the testimonies from the field that more and more people, not just children are coming to Christ through a shoebox. 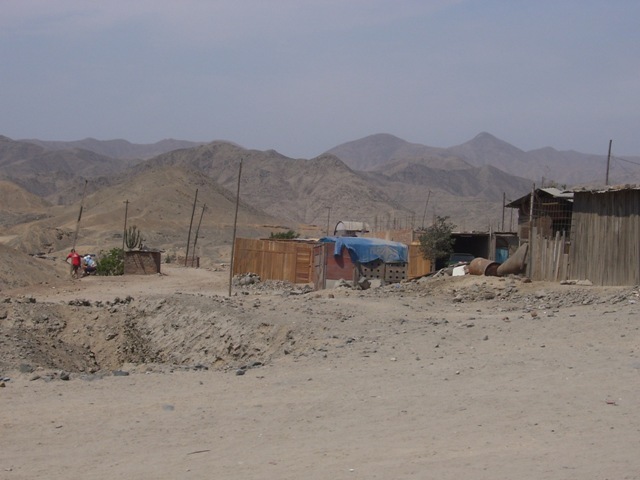 In Central Asia, a country where preaching is punishable by death, a team of courageous local Christians went out to nearby communities and passed out shoeboxes. About 2,500 people heard the gospel for the first time! In Georgia Russia, after receiving a shoebox gift, a young boy named Nika became involved in a Sunday School program. Not only did he become a Christian, but he led his entire family to faith in Christ! Many of these children live in cultures that are closed to tradition evangelism. Yet God is using the shoebox gifts to open doors, break down barriers, and advance the gospel, even in regions where Christians are persecuted and live in fear. We give Him all the glory for the countless lives that have been touched and transformed. Give us some details about what typically goes into a shoebox. Hygiene items (toothbrush, toothpaste, soap place in a zip lock bag, socks), balls, cars, soft doll, stuffed animal, school supplies (paper, pens, pencils, erasers, crayons) jacks, hair bows, hat, sunglasses, necklace, flashlight (extra batteries). Here in the United States if our children do not have school supplies they are still allowed to go to school. 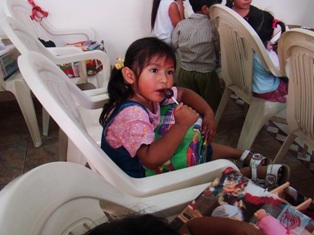 Children in other countries, if they don’t have school supplies, they are not allowed to go.